Paradise collection. 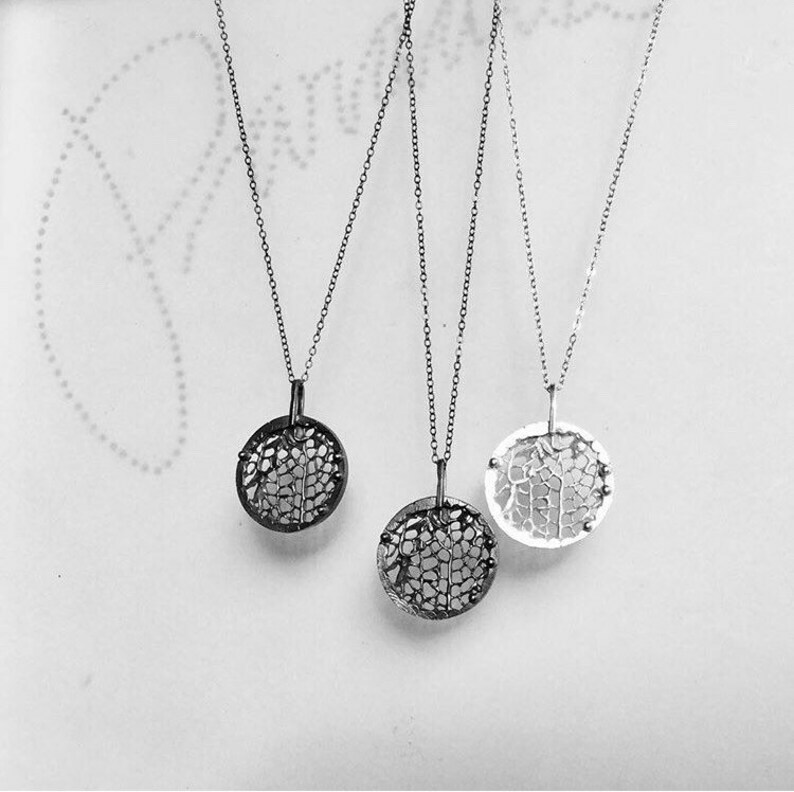 Round Coral Pendants sterling silver. Inspired by tropical seas and their landscapes. Beachy feelings and tropical life. One of a kind. Cast in Sterling silver. The one of a kind casts of gorgonia corals (sea fans) featured in this collection come from corals that are collected from the beach where they have been washed out by waves. They become beautiful pieces of jewelry, shapes given to us by nature. A reminder that we should protect the earth and all of its species. Gorgonias are actually animals, although they resemble plants. The undersea groups of these odd and fascinating beings are known as “animal forests”. Corals hold the key to healthy seas, thus a healthy earth and even further, the preservation of our own species. Total length of chain approx. 25 cm. long.